There is a terrific place in the French Riviera, which is distinguished by a particular picturesqueness – the island of Corsica. Its small towns, built on the steep cliffs and hilly peaks, can strike any traveler with their unique architecture and curious historical monuments. So, in order to translate the possibility of meeting every this tiny town into action, you could use a rather convenient way of trawling, which is by a hired car. It can be booked directly in the airport upon your arrival to France, using a special bookingcar.ru online service. 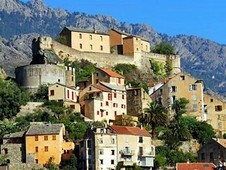 Afterwards you can immediately start your sightseeing tour along the island of Corsica. Traffic violations provide for the payment of penalties, which values are rather high. On the motorways the speed limit should not exceed 110 km/h. In case of the unfavorable weather conditions, such as rain or fog, the speed mode should be slowed down. The particular road sections can be equipped with the signs, prescribing to move with a speed of 30 km/h. Compliance with this restriction is crucial, as the controlling cameras can be located in the vicinity of such signs. While choosing the car model in the company, dealing with car rental, for your future travel along the island of Corsica, you should remember that most of the parking zones are located underground and are limited in height up to 1.90 meters. That is why, before leaving your car at a parking lot, please make sure that the aerial, which is a part of any “big” car roof, has been previously removed. Almost all parking spaces, both of indoor and outdoor location, involve the payment of certain fees. It will be extremely complicated to find a lot at an outside parking territory, and moreover to find a free of charge parking lot in the island of Corsica. As in any other part of France, the driving in the island of Corsica is right sided. It is not obligatory to turn on the headlights while driving during the day time. It is forbidden to use cell phones while driving. It may result in a necessity to pay a penalty, and in case of a French driver’s license availability, it may also end up with a loss of points. Usage of special technical devices while driving is also restricted. If a police officer finds out the case of implementation of such devices during the time of driving, he may apply special measures of punishment towards the driver. For example, to impose a penalty. The safety belts should be used by driver as well as by other passengers sitting both in the front and back seats of the car. All the children under the age of 10 years should be fastened by the safety belt at a back car seat or in a booster during the period of transportation. Paris from 15 eur a day.